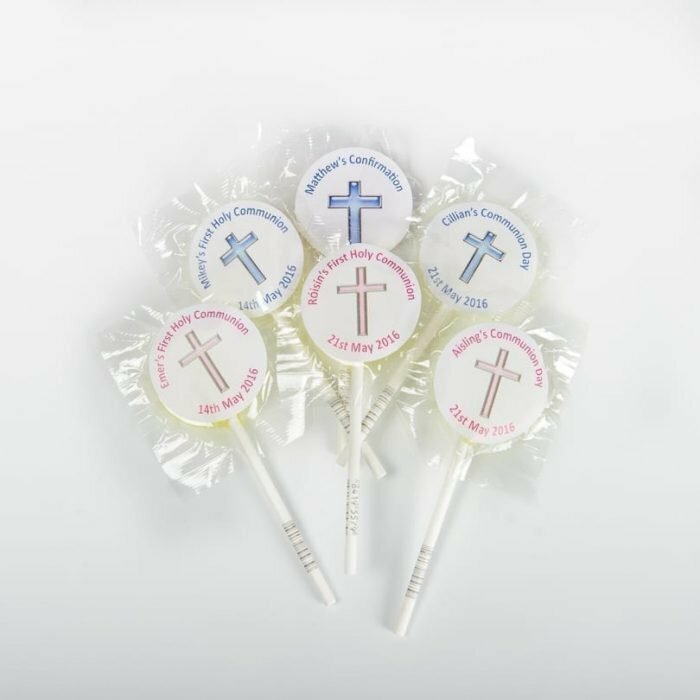 Fruit flavoured lollipop with personalised label – Blue or Pink Cross. 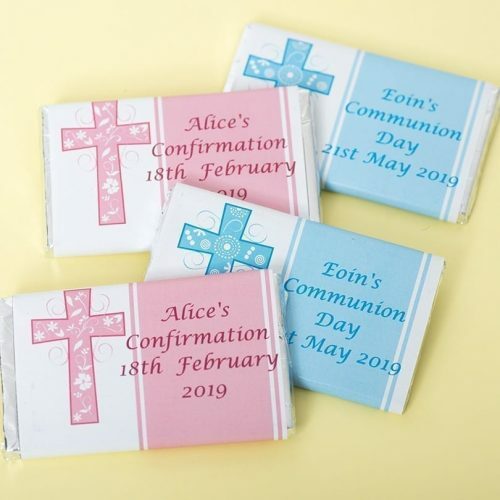 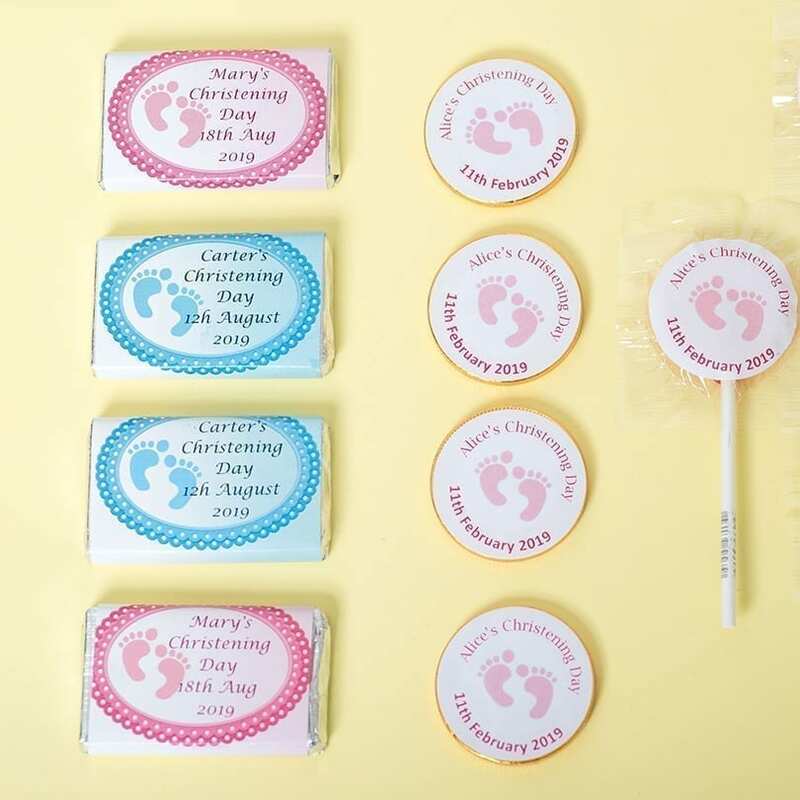 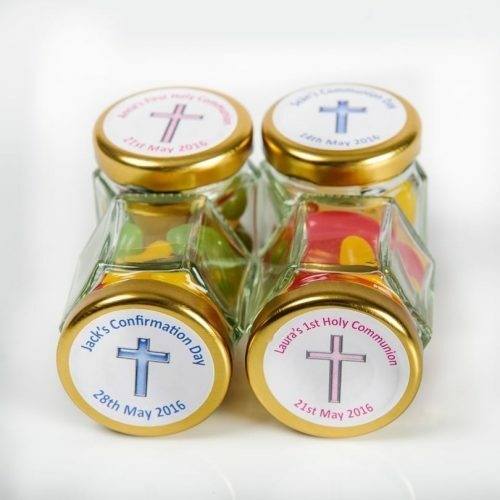 Our personalised communion lollipops are fruit flavoured and come with a personalised label on both sides. 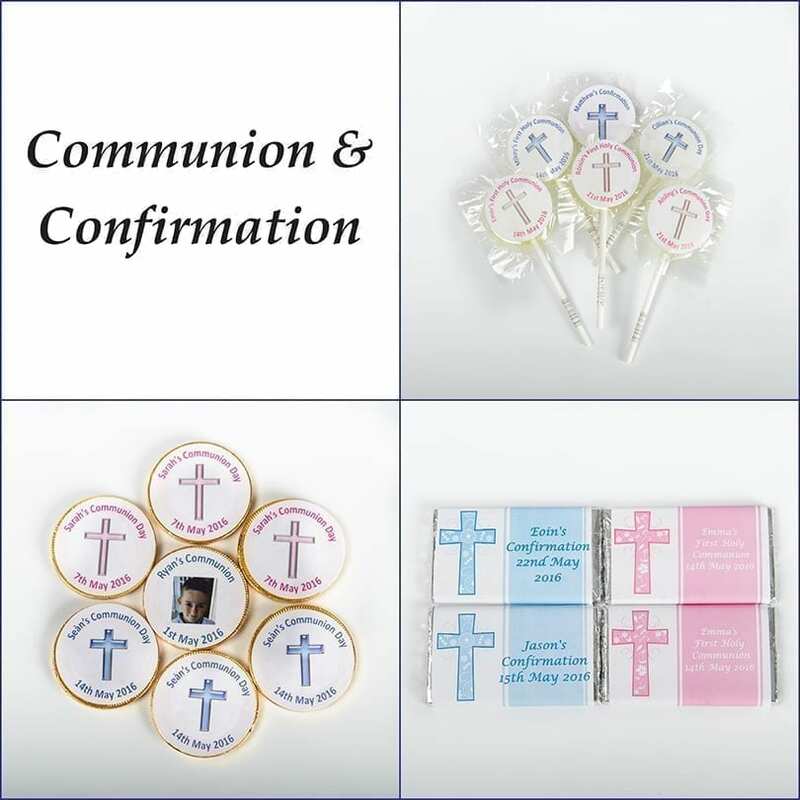 These lollipops could be used for confirmations too. The lollipops are supplied in packs of 15 and have a 30mm diameter.